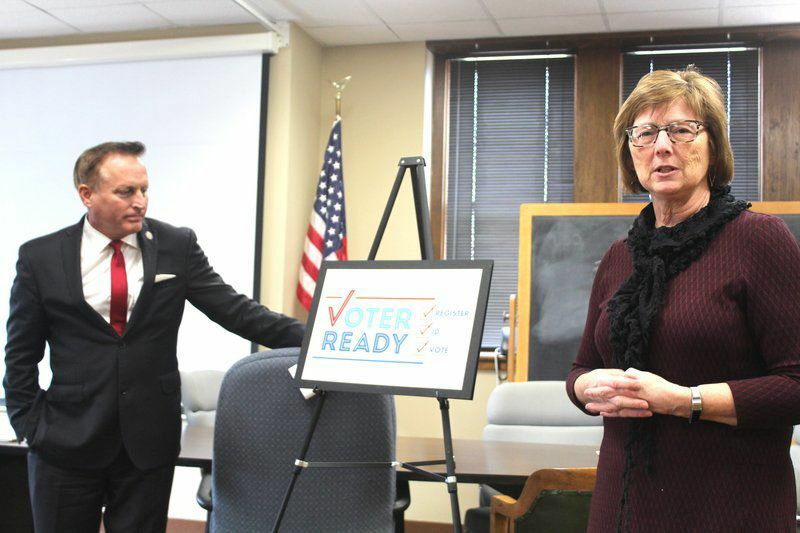 DES MOINES — Secretary of State Paul Pate is launching a 99-county “Voter Ready” education effort to prepare Iowans for the soft rollout of the state’s voter identification law that goes into effect this year. Already, 93 percent of Iowans eligible to vote are registered and 93 percent of them have driver’s licenses, which poll workers will begin asking voters to provide when they cast ballots. A U.S. passport, veterans and military ID, or a voter ID card issued by the Secretary of State Office also can be used as proof of identification. The Secretary of State Office recently mailed 123,000 voter ID cards to eligible voters who were not included in a state Department of Transportation database of Iowans with driver’s licenses. The office received about 18,000 “return to sender” responses indicating those people have died or moved. 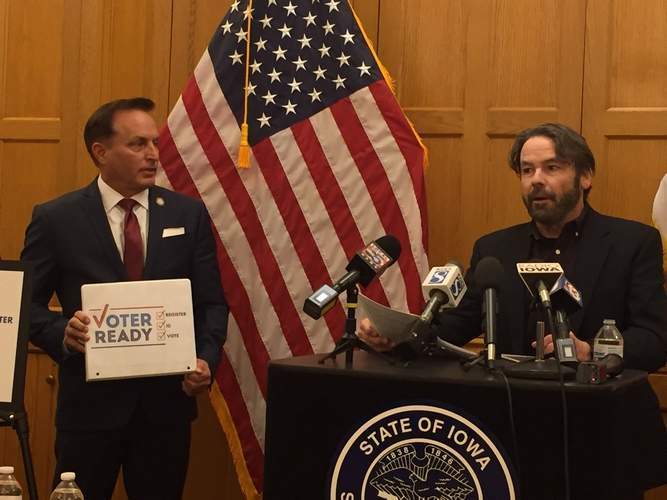 DES MOINES, Iowa — Secretary of State Paul Pate says the time for arguing the politics of a voter ID law are over and its time for Iowans to make sure they’re ready for the changes. In 2017 the Iowa Legislature passed Pate’s voter ID legislation, requiring all Iowans to have a state-issued ID before they’re given a ballot on election day. For most Iowans that means showing a driver’s license. Those who don’t have licenses will be issued a voter ID card for free. Pate says 123,000 of those cards have already been mailed to Iowans who are registered to vote but aren’t in the Iowa DOT database. While the law is now in effect Pate says Iowans will be given one year to adjust to the new law. “This is a soft roll out. So we want everyone to bring their ID to the polling place and to show it. However if you do not have your ID you’ll still be allowed to cast a regular ballot,” says Pate, “after signing an oath swearing to your identity. 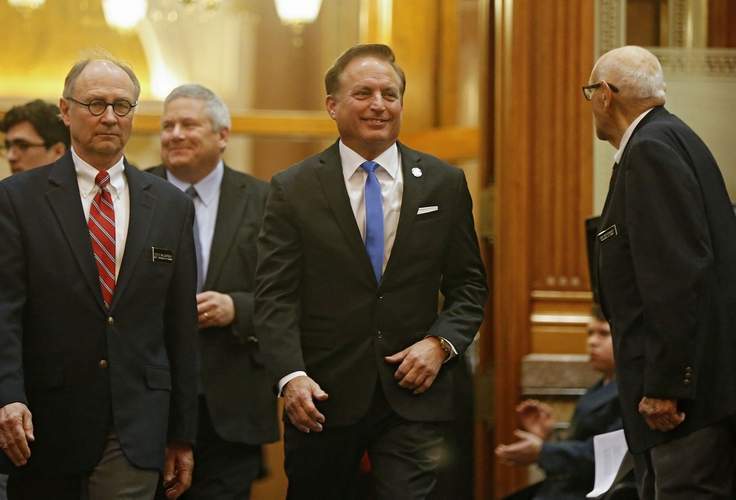 OTTUMWA — Iowa Secretary of State Paul Pate said he’s spoken to more than 100 groups before upgrading security for election results. The goal, he said, was to be both secure and inclusive. Pate was in Ottumwa Friday leading a “Voter Ready” roundtable discussion. Along with staff from his office, his local contact, Wapello County Auditor Kelly Spurgeon, was in the room. Auditors control the election in each of the state’s 99 counties. They are overseen by the SOS. “This is not the same system as … any other state,” said Pate. 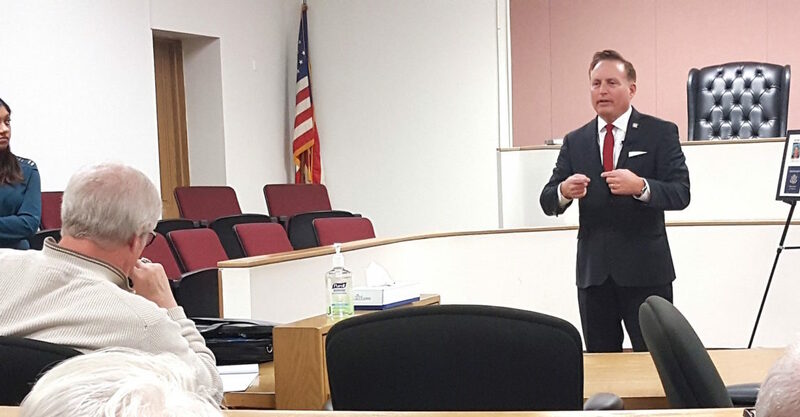 OSKALOOSA — Iowa Secretary of State Paul Pate visited Oskaloosa recently with a message: Be ready to vote. This year is a soft roll-out of new voting requirements, Pate said, in order to inform as many people as possible and to give election officials the opportunity to fine-tune the system. Pate particularly emphasized the need for college and university students to be prepared before hitting the polls. And to prepare early. William Penn University Director of Athletics and Student Life Nik Rule said many Penn students are from out of state and have out of state driver’s licenses and asked whether students would have any stumbling blocks with registration.